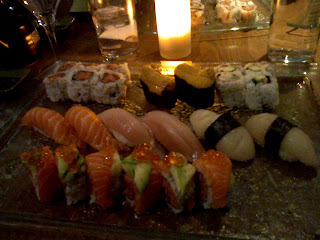 4 Response to "Haru: A Review"
If you think Fugakyu is good, then you need to check out Nori on Harvard ave, not too far from Coolidge Corner. Cheaper and better. I feel the same way about Oishii. Regardless of what the food tastes like, a high price point will deter even many diners. I recommend Oga in Natick, Koreana in Cambridge and there is always Fugaku* in Brookline. I too have noticed a sudden influx of sushi places and steakhouses! 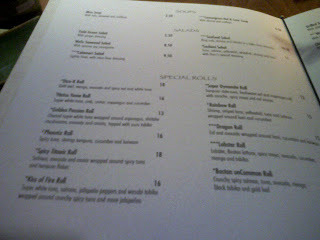 We love Village Sushi in Roslindale (sister restaurant of JP Seafood). They have some greate "special" maki rolls AND they deliver!!! Even though I heard it's expensive, I will still be checking out Oishii in the S. End. I can't help it... the menu just looks too yummy! Haru in NYC is one of my favorite spots for sushi, behind Nobu which is in it's own league, but the Boston one needs to work out some kinks. I thought the food was good, but the service had some kinks to work out, being so new and all. I'd give it another shot, as I said, the NYC locations are spot on and this one will likely be as well. I have tried Douzo and found the atmosphere really bland, and the prices to be expensive (more than Haru) and that expensive-ness not really justified in the quality of the food. 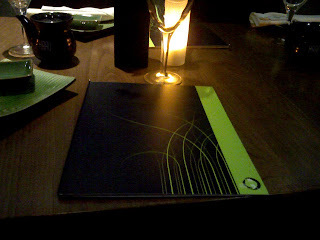 The best food around, with zero atmosphere, in the sushi genre is Tsunami in Brookline, behind Fugakyu. Check it out, it is stellar.